I’d heard good things about the wrap style carriers, so I decided to try out the Caboo +Organic by Close Parent. For me, I think the Caboo is as stylish as baby carriers come. The range of colours available aren’t your usual garish choices. With a host of cool blues or greys available, I opted for the lighter striped Titanium Grey. It’s also form-fitting, so as carriers go, it’s a slender, dare I say, sleek look. After a false start – which included a hot flush and what looked like a novice gymnastics routine – the Caboo now slips on and off with ease. Fitting my little girl into place was simply a matter of remembering which leg to put in first, and a few simple adjustments to make her feel snug. 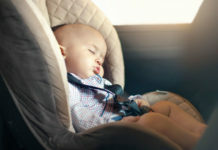 Once on the move, it can be worn in both hot and cold conditions with the breathable organic cotton. I must also pay homage to the large pocket on the front, as well as the small zipped one, meaning you can leave your changing bag at home. 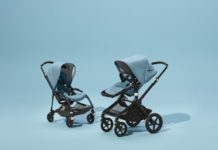 The organic cotton is heavenly to touch, and coupled with the natural flex in material, the carrier has no pinch points and moulds around Thea so comfortably. The weight is well distributed over your shoulders by the wider straps. 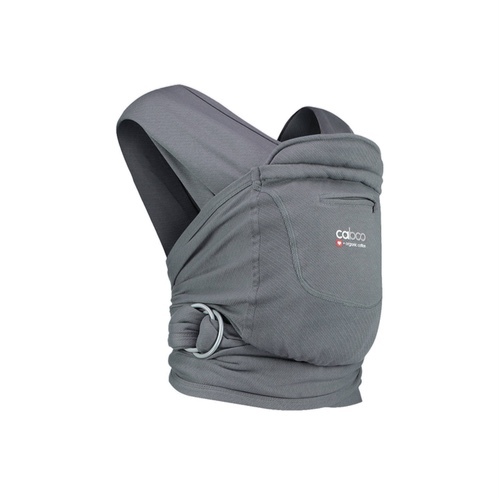 With the added support of the additional wrap, any swinging motion is reduced, relieving achy lower backs. This is first carrier that she’s not spent the first 10 minutes grizzling in. I’d recommend the Caboo to other parents, as it’s the best carrier I’ve used to date. 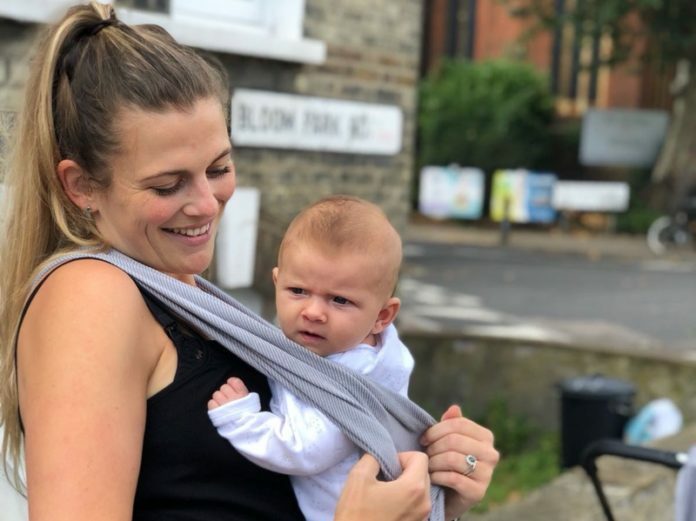 It’s comfy, easy to use and as close as you can get to trendy with a baby strapped to your chest.